CHARMING one level home in nice, quiet Longview neighborhood. Large open floorplan with Greatroom, Dining Room, Kitchen with huge pantry, all appliances, plenty of cabinets and counter space including a peninsula plus an island. Living room has fireplace with woodstove insert. Many ceiling fans. Front Porch and Side Porch for relaxing outside evenings. Mature trees. 2-car carport and storage sheds. SCHEDULE YOUR APPOINTMENT BEFORE YOU MISS THIS ONE! 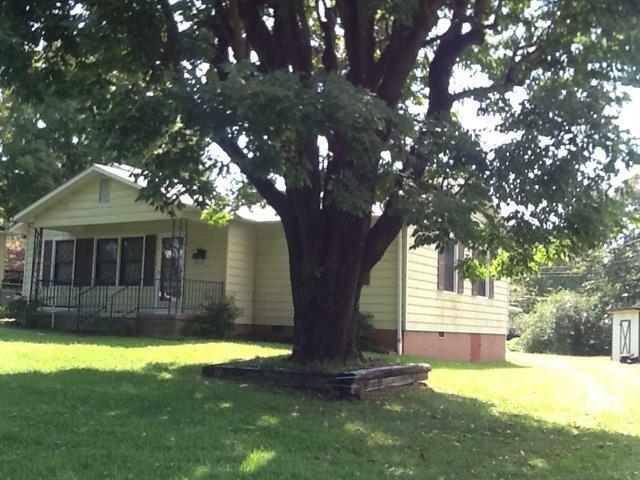 Offered by Young-Mallison Real Estate. Copyright 2019 Carolina Multiple Listing Services. All rights reserved.